Tablets, love ‘em. But I love having a keyboard, too. The hybrids that I’ve seen have me excited, but I’ve been hard pressed to find a tablet I like more than my trusty Lenovo x201t. The x201t was the first computer I ever ordered from Lenovo and I’ve been hooked since. Convertible tablets used to be the norm, and were made by Compaq (had one), and later HP, Motion Computing (had one), Dell (had one) and of course Lenovo (have one). But the convertible tablet has been on a slow descent to extinction for the last couple of years. The explosion of the consumer tablet market brought on by the iPad has pretty much sealed their fate. The hybrid designs are a solid option to be sure, but I’ve always liked the convertible. I still use mine all the time. I wish it was thinner, had newer guts and even better battery life, but I think most people want those things not long after getting a new machine. It’s the evolution of things. Anyway, I’m thrilled to see that Lenovo is continuing their tradition of making convertible Windows-based convertible tablets with their new ThinkPad Edge Twist. I think the name is ridiculous, but I love everything else. At that price it’s literally half of what I paid for my x201t nearly two years ago. Things sure have come a long way. I know it sounds silly, but I was downright giddy when I read the Engadget article. I’ve been waiting for a while for someone to develop a convertible tablet PC that can replace my x201t. I think I finally found it. Santa may come early this year. Interesting that you’re into this, Jerry. I was excited at first glance, too, but this seems to be the first ThinkPad tablet with NO STYLUS SUPPORT. Touchscreen only would be a poor substitute for the X-series convertibles we’ve known for years. Also, given that the rest of the high-end tablet makers are managing to squeeze full 1080p resolutions into smaller displays than this, 1366×768 at 12.5 inches is disappointing. Guess I’ll wait to see what Lenovo comes up with next (the ThinkPad Tablet 2 was a miss for me, as well – same resolution in a screen 2 inches smaller, even). Well, you got me Michael. I assumed it had pen input when I first read about it. Frankly I’m shocked that it doesn’t. I can’t imagine using a tablet PC, especially a Lenovo, without an active digitizer and pen. Just can’t. To say that I’m disappointed would be an understatement. The resolution doesn’t make that much difference to me; it’s a nice-to-have, but not a must-have for what I use them for. The pen on the other hand, is a deal breaker. Appreciate the info. 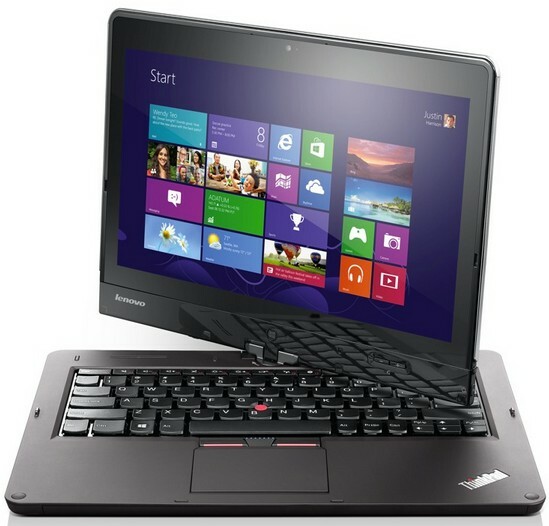 Check out Lenovo’s Thinkpad 2. Coming out on October 26, it sports a stylus with optional keyboard dock. This may be my upgrade from my x61tablet. Not a bad option, but I really want something bigger than 10.1-inch. Also I’m not real thrilled about it having an Atom processor. Definitely not an upgrade from my x201t. Not sure why it wasn’t introduced alongside the Twist, but Lenovo’s Thinkpad Helix looks like the X-series tablet successor we’re waiting for. 11.6″ 1920×1080 display w/ Wacom digitizer (and a garage for the pen in the tablet itself, which the Surface Pro lacks). Liliputing has some details and pics on their website, based on October announcement in China. I agree with you after seeing the specs. A couple of things that are causing me some angst though are the fact that the Helix is a hybrid model tablet with an 11.6-inch screen. I would like to see a convertible machine with a bigger screen, i.e. 12+ inch, and active digitizer. It’s confusing to me why they would go with the digitizer on the Helix, but not the Twist. My new desktop. Check it out. I’m thrilled to see that Lenovo is continuing their tradition of making convertible Windows-based convertible tablets with their new ThinkPad Edge Twist. I think the name is ridiculous, but I love everything else.